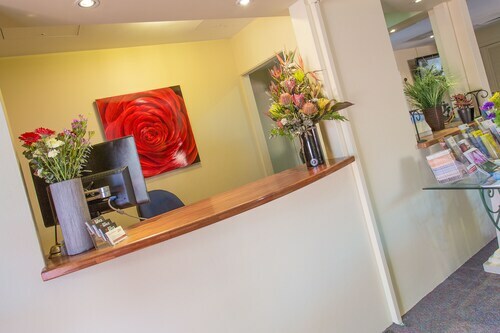 Located in the heart of Mackay, this hotel is within a 10-minute walk of Artspace Mackay, Mackay Enertainment and Convention Centre, and Jubilee Park. Bluewater Lagoon and Caneland Central are also within 15 minutes. 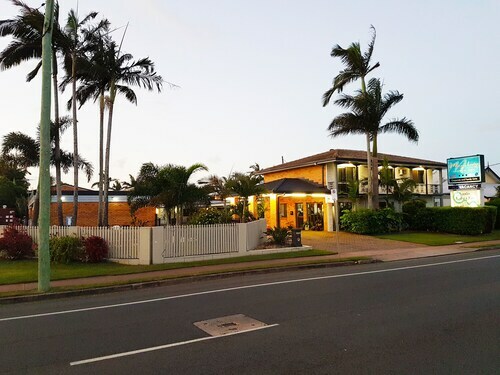 Situated in West Mackay, this motel is within 1 mi (2 km) of Jubilee Park, Mackay Enertainment and Convention Centre, and Artspace Mackay. Bluewater Lagoon and Caneland Central are also within 1 mi (2 km). 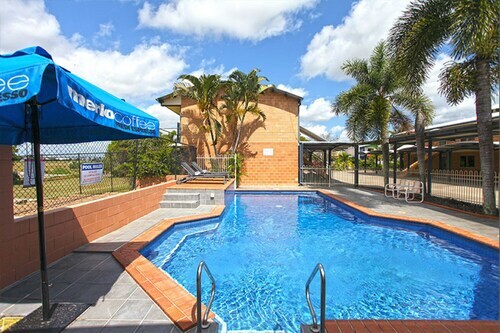 Situated in Mackay, this aparthotel is within a 5-minute walk of Bluewater Lagoon and Caneland Central. Artspace Mackay and Jubilee Park are also within 10 minutes. 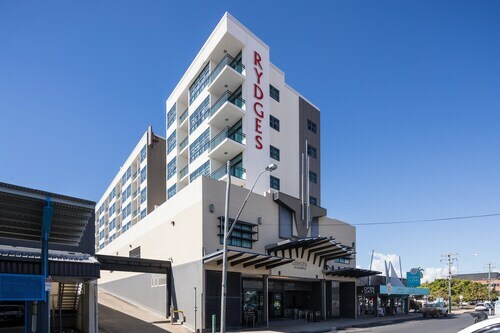 Located in the heart of Mackay, this aparthotel is within a 15-minute walk of Queens Park Orchid House, Mackay Enertainment and Convention Centre, and Artspace Mackay. Jubilee Park and Bluewater Lagoon are also within 1 mi (2 km). 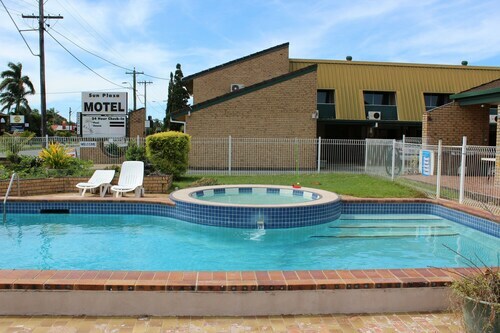 Situated in West Mackay, this hotel is 0.8 mi (1.4 km) from Mackay Leisure Centre and within 3 mi (5 km) of Pioneer Valley and Mackay Base Hospital. Mackay Regional Botanic Gardens and Jubilee Park are also within 3 mi (5 km). Mackay Station is 18 minutes by foot. 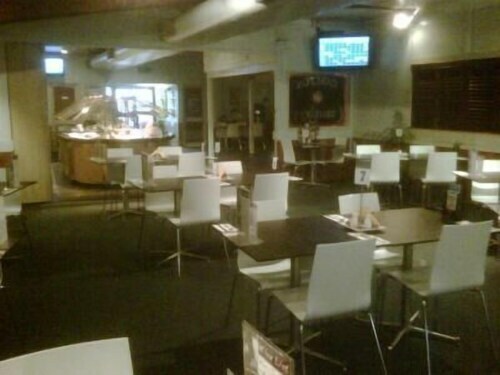 Located in the heart of West Mackay, this motel is within 1 mi (2 km) of Pioneer Valley and Mackay Base Hospital. Jubilee Park and Mackay Enertainment and Convention Centre are also within 2 mi (3 km). 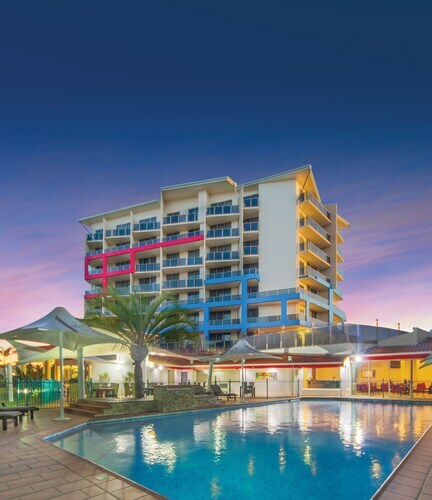 Situated near the airport, this motel is within 1 mi (2 km) of Jubilee Park, Mackay Enertainment and Convention Centre, and Artspace Mackay. Bluewater Lagoon and Caneland Central are also within 1 mi (2 km). 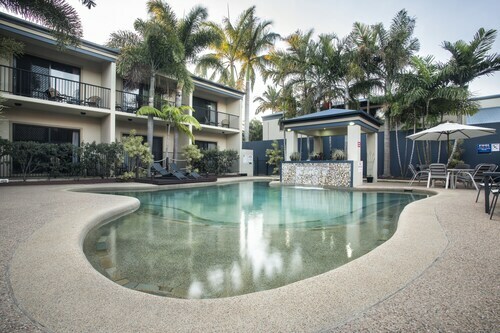 Situated near the airport, this luxury aparthotel is within 2 mi (3 km) of Queens Park Orchid House, Artspace Mackay, and Mackay Enertainment and Convention Centre. Jubilee Park and Bluewater Lagoon are also within 3 mi (5 km). 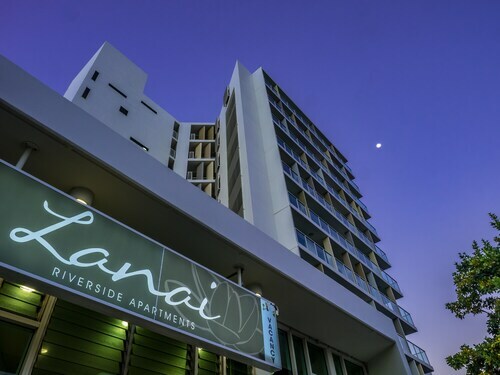 Located in the heart of Mackay, this luxury aparthotel is within a 5-minute walk of Bluewater Lagoon and Caneland Central. Artspace Mackay and Jubilee Park are also within 10 minutes. 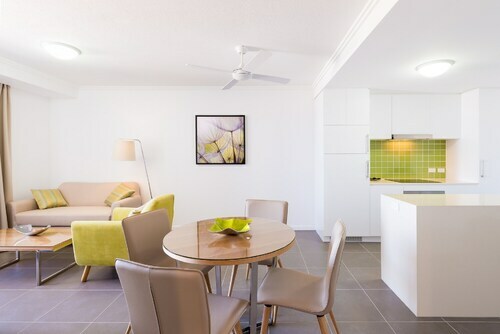 Situated near the beach, this luxury hotel is within a 10-minute walk of Artspace Mackay, Mackay Enertainment and Convention Centre, and Jubilee Park. Bluewater Lagoon and Caneland Central are also within 10 minutes. 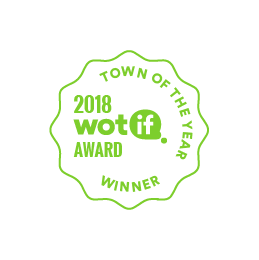 Based on a pricing and demand index, the annual Wotif award recognises the top Aussie towns offering travellers good value for money and fantastic accommodation options. Mackay offers the quintessential Aussie holiday and caters to all types of travellers. With plenty of local wildlife and nature activities in the region, there is so much to see and do in Mackay. Must see attractions include watching the wallabies and kangaroos at sunrise at Cape Hillsborough, the platypuses in the Eungella National Park, a visit to the gorgeous uncrowded beaches, and of course the Great Barrier Reef. The sweetest city in Australia, Mackay is the biggest sugar producing region in the country, which only makes its scenery more diverse. From highways lined with sugar cane plantations the coast opens up before you with a seemingly endless stretch of white sandy beaches. Stay in our Mackay accommodation and you will have access to over 30 of the best beaches on the North Queensland coast at your doorstep. Off the coast, scattered throughout the Great Barrier Reef Marine Park, there are a number of tropical islands to explore and our Mackay hotels offer the perfect base to set out from. From the koala colony of St Bees Island to the pristine coral gardens of Scawfell Island and of course the entrance to the spectacular Whitsundays, Brampton Island, there is plenty to see and do while you stay in a Mackay hotel. Need insider tips on must-see attractions in Mackay? Check out our Mackay travel guide! How Much is a Hotel Room in Mackay? 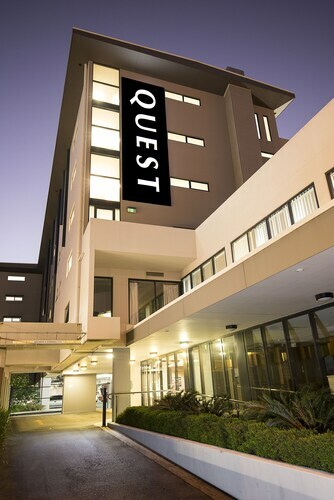 Hotels in Mackay start at AU$70 per night. Prices and availability subject to change. Additional terms may apply. Had some noisy people in room above ours on our first night. Once the staff were made aware of this the issue was dealt with promptly. The rest of our stay was nice & quiet and the staff were very helpful & friendly. Good location to be just out of town but also close enough also for access.